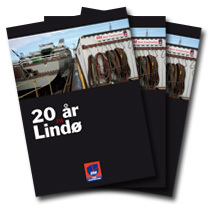 20 years of hard work on the Odense Steel shipyard resulted in BM Steel Construction being awarded the contract on assembling and welding of sections including frigates for the Danish military, and cargo ships. And it is hard work. During the 3 years it takes to assemble and weld sections of the 150-meter-long ships, BM Steel Construction employs an average of 100 workers.